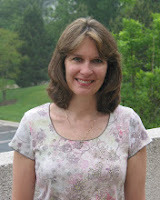 So happy to welcome Susan Muira again to guest post on my blog. Susan has a great blog called Taste The World where she shares places and recipes as well as writing news. She is a contributor to Falling In Love With You, a collection of real-life love stories from around the globe. 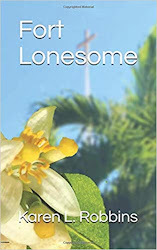 Just in time for the snow birds to travel south and others to wonder where to escape to for a few warm days, Susan shares a bit of Key West, FL, with us. Sun and sand, aquamarine water, sea turtles, watercolor sunsets and food to die for. 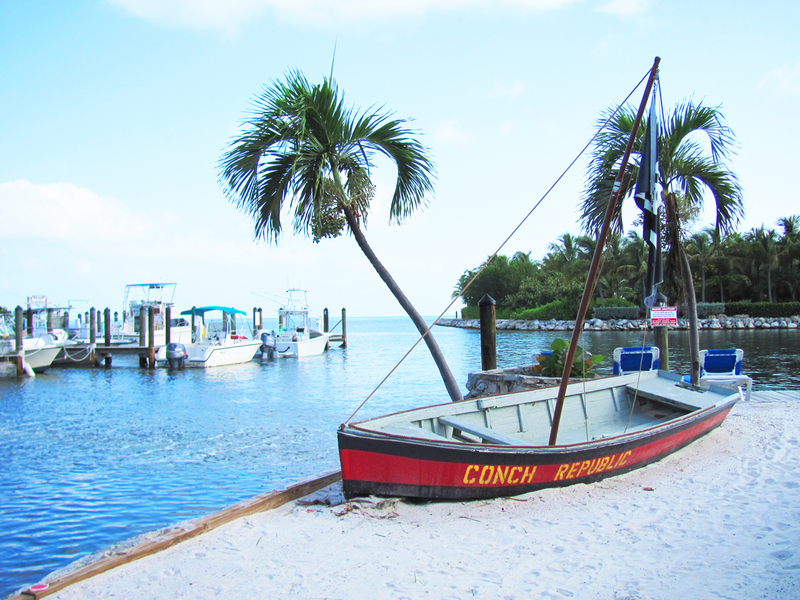 The Florida Keys has it all…and so much more. I returned to Marathon this past July for a week-long family vacation, and left wishing we had at least another week to do more of our wish-list activities. Such a place! The kind where sunshine dances on the water, colorful creatures glide below, and the palms gently swish in the island breeze. In Key Largo, we snorkeled in John Pennekamp Coral Reef State Park, an amazing national marine sanctuary and North America’s only coral barrier reef. It is famous for a 4,000 pound bronze sculpture, The Christ of the Abyss, but we were not allowed to see it due to rough waters that could potentially slam a snorkeler into the sculpture. We did, however, see a few barracudas and a variety of colorful fish and coral. Down the block from our resort in Marathon was the Turtle Hospital, a must-see because we missed it the last time around, a faux pas our daughter has never forgiven or forgotten. 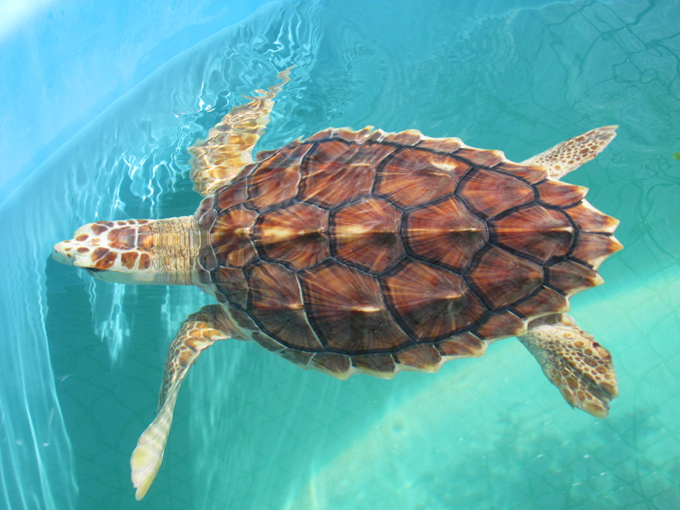 We learned some fascinating facts about sea turtles, then met the hospital’s residents. Many were recovering from injuries sustained by boats, sharks, or swallowing fishing lines or plastic six-pack rings. Some will eventually be set free, while others will make the hospital’s waters their permanent home. 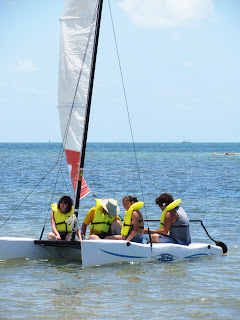 Key West is always a fun destination, and we went twice. The first day we visited the aquarium, built in the early 1930s. Noticing an ocean theme here? It’s a beautiful little aquarium that only takes about 45 minutes to peruse. Open tanks with stingrays, sharks, starfish and horseshoe crabs seemed to be the big draw for the younger crowd. There’s a variety of stores in Key West, but most of them have touristy prices, so we didn’t buy anything. Great restaurants, though. One of our favorites was Amigo’s Tortilla Bar – Home of the Square Taco! Really fresh ingredients; excellent Mexican cuisine. Also loved Red Fish Blue Fish. Fresh, fantastic seafood. Imagine a shrimp and bacon club, loaded with huge Gulf shrimp. Or a shrimp po boy jam-packed with, you guessed it, huge Gulf shrimp. Our two favorite beaches were Sombrero in Marathon and Smathers in Key West. 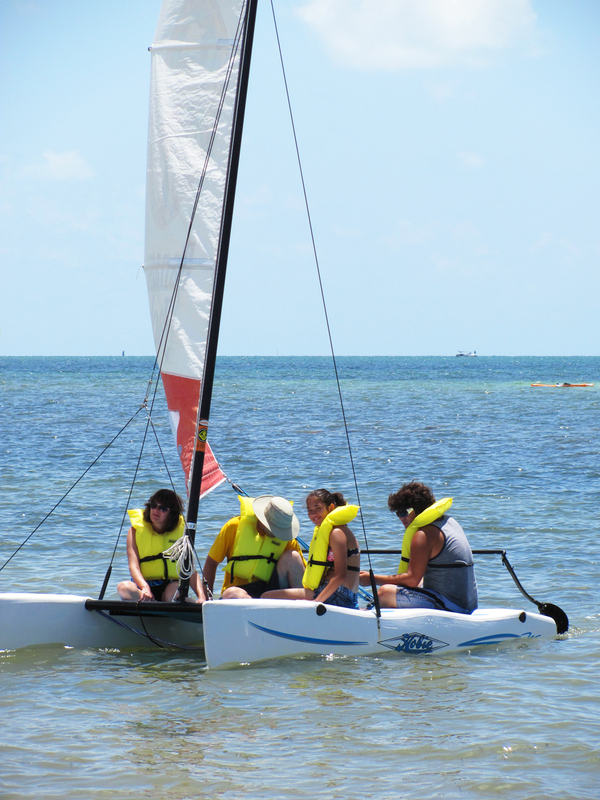 At Smathers, you can pay approximately $70 for a full day of using the equipment, which includes a catamaran (with a lesson), paddle boards, inner tubes, kayaks and more. It also includes a parasail ride. The best beach in Key West is supposed to be Zachary Taylor State Park, but we never seem to get there. If you haven’t been to the Keys, check them out. It’s a great spot for all ages, and definitely worth exploring! Melt butter in large soup pot. Add all vegetables and sauté until tender. Add flour and blend well. Add half-and-half, milk, chicken broth and then the rest of the ingredients. Slowly simmer until creamy. Thanks for hosting me, Karen! 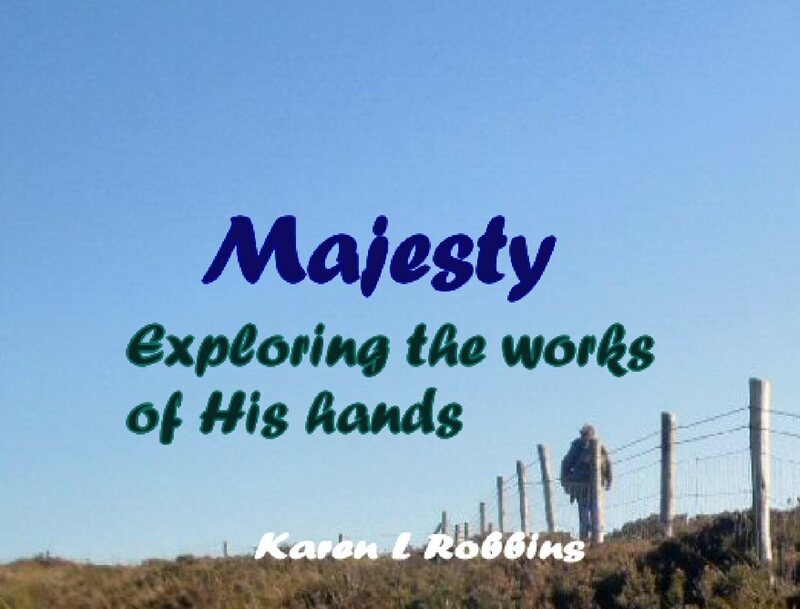 I always enjoy your blog and feel honored to be part of it.